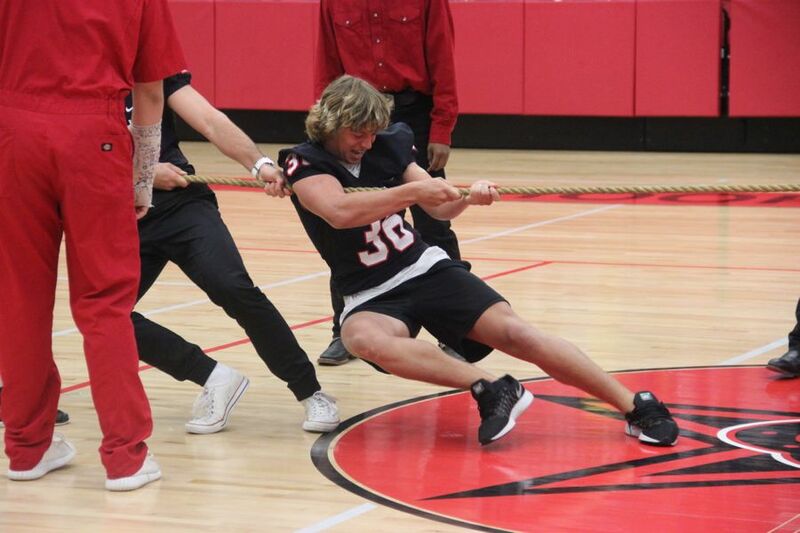 Coppell High School senior football player Skyler Siedman participates in the tug a war event held by the silver spurs during the pep rally on Oct. 28. The senior girls beat the football players in the game in the CHS arena. 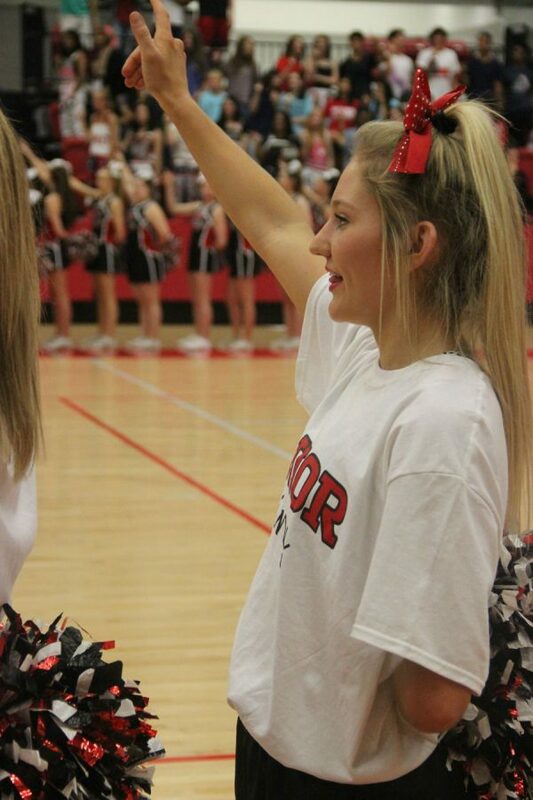 Coppell High School senior cheerleader Riley Hopper sings the alma mater towards the end of the senior pep rally on Oct. 28 in the arena. The alma mater has been a tradition at CHS for many years and continues to be sang at the end of every pep rally.